- New soundtrack featuring music by Mux Mool, Dose One, Daedelus and more! 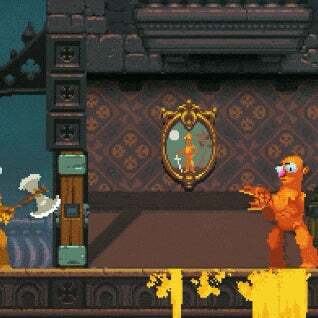 A press release for the new sequel states that Nidhogg II is “coming to PC and maybe some other platforms” next year. Note: The original headline for this story described the game as a Jousting game when it’s clearly a Fencing game. The headline has been changes and the author has been properly skewered.